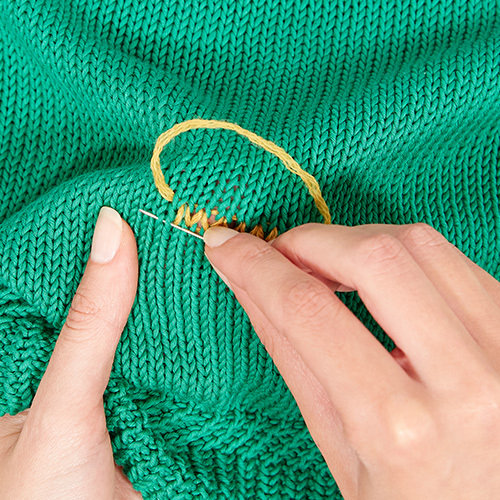 When a stitch grows loose or the material frays, you might get a hole in your knitted garment. It’s important you do something about it straight away. 1. Insert the needle and thread two stitches to the side of the hole. 2. Bring the needle up through the opposite end of the stitch, recreating the garment’s original stitch. 3. Keep replacing the missing stitches. 4. Repeat the operation until the hole is completely mended. 5. Complete the darning two stitches to the other side of the hole, bringing the thread under the last stitch. 6. 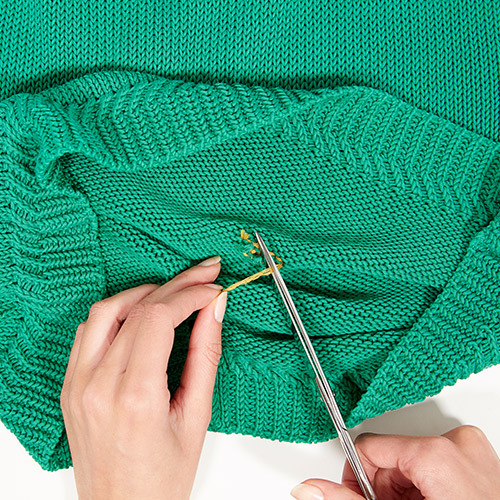 Trim off the ends of the thread, both on the inside and on the outside of the darn. 7. Your knitted garment is ready!